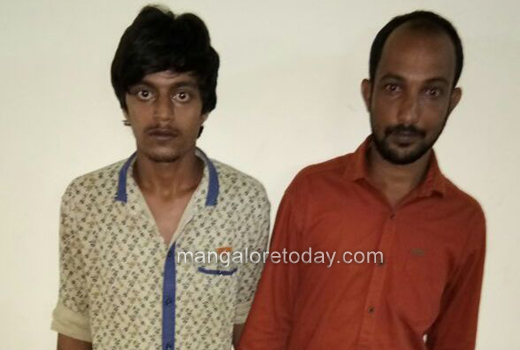 Mangaluru, Oct 25, 2017: Konaje police have on October 24, Tuesday arrested two persons who were peddling drugs in a motorbike at Madaka near Amblamogaru. Police have seized their motor bike apart from five packets of ganja. The arrested are Mohammad Asif from Kudroli and Sheikh Shahabar from Kuttar. During interrogations, police found that the two were also addicted to ganja. They have also confessed that they used to sell ganja to students and youth. The two have been produced before the court.